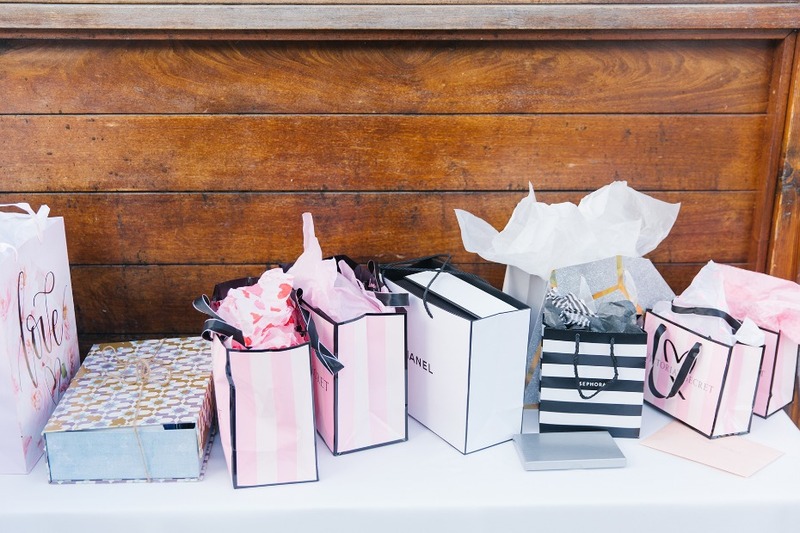 One of the last things you probably think about as a bride-to-be is planning your own bridal shower. 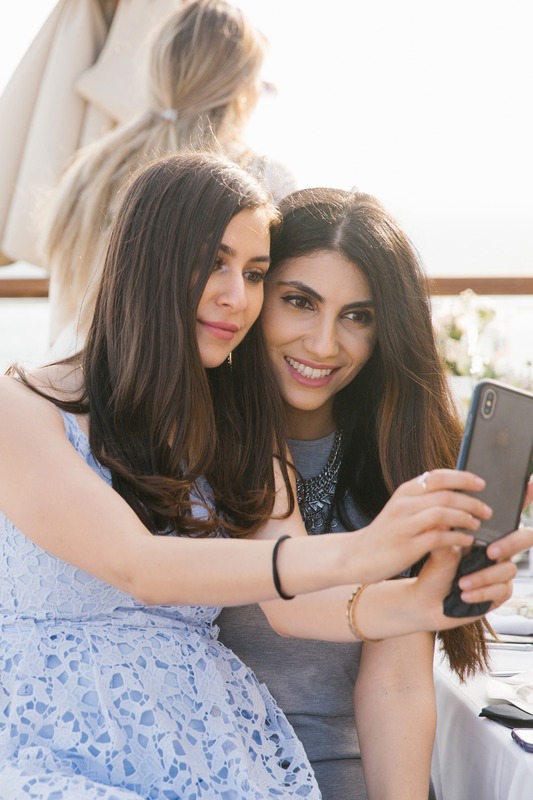 Is that even a thing? 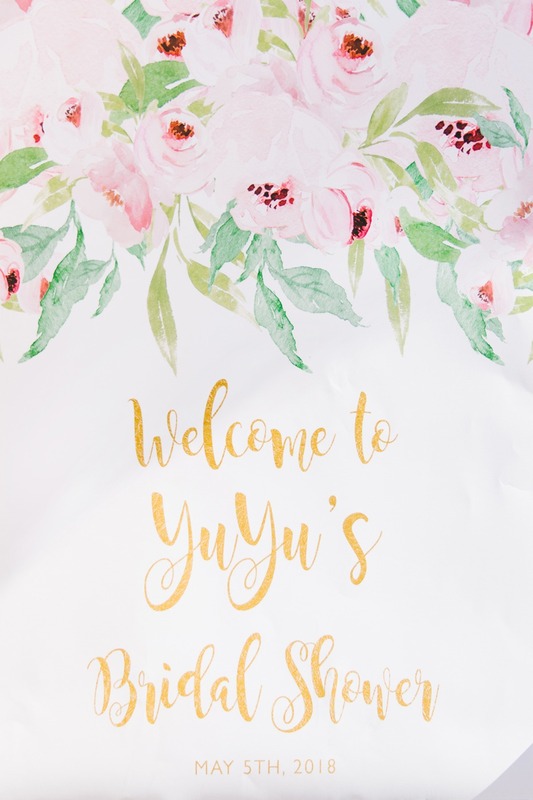 Why yes, it is! 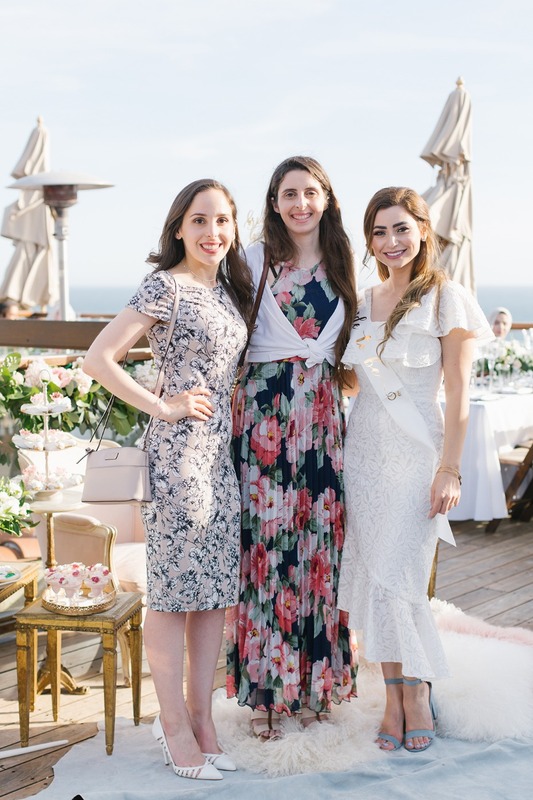 And this bride felt inspired to plan her very own vintage themed shower on the rooftop of La Casa del Camino Hotel in Laguna Beach, CA. 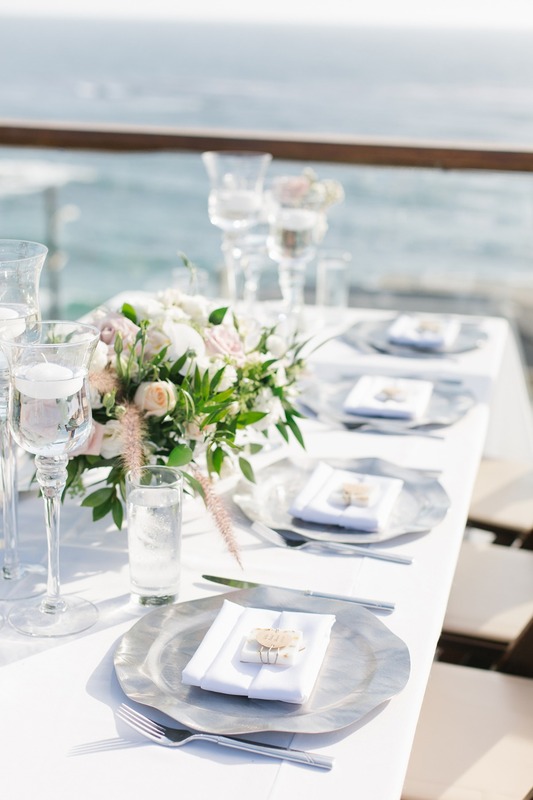 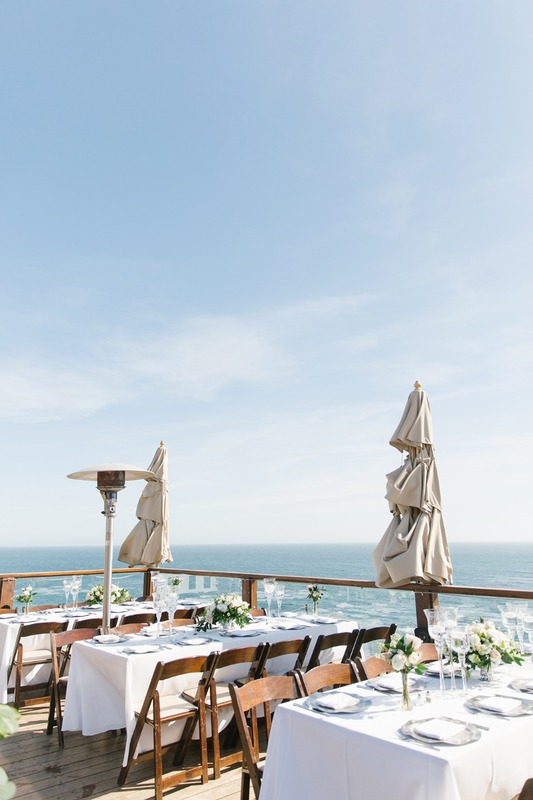 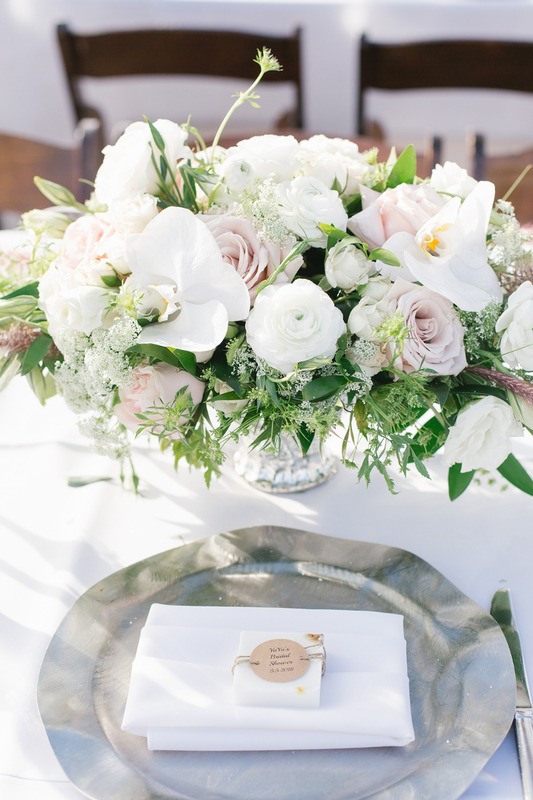 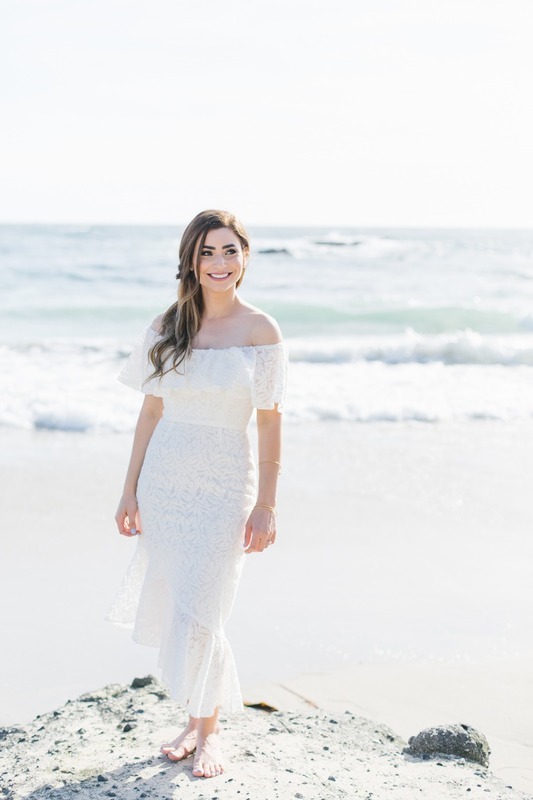 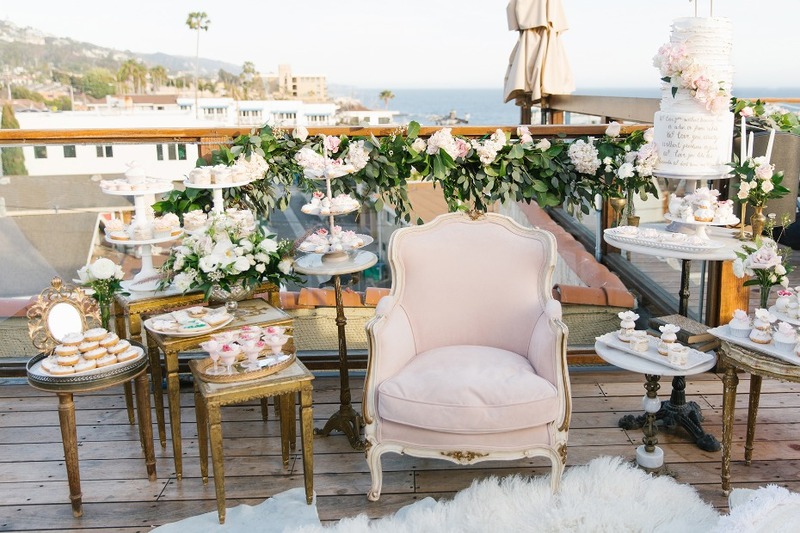 The sweeping ocean views made it one dreamy location to celebrate her upcoming nuptials, and she went all out making it an event to remember. 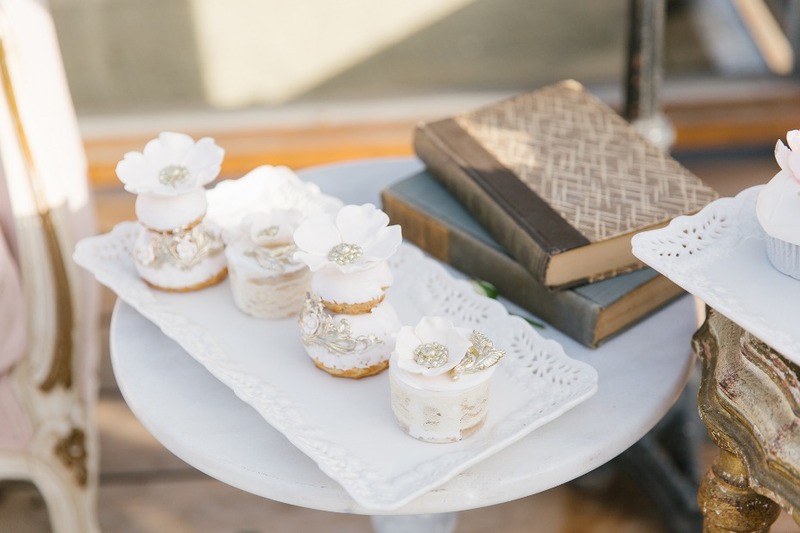 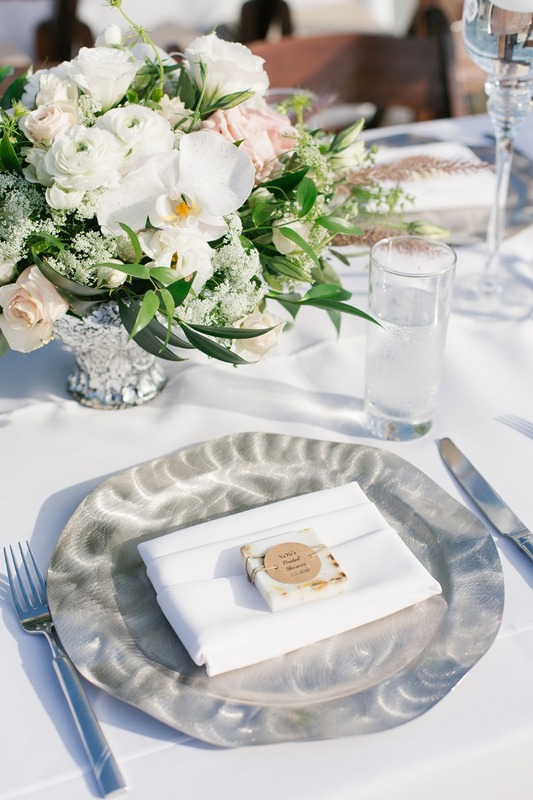 She kept the design airy and fresh with elegant floral centerpieces and custom favors for guests, and we’re practically drooling over the decadent dessert spread from A’nouge Sweet Designs. 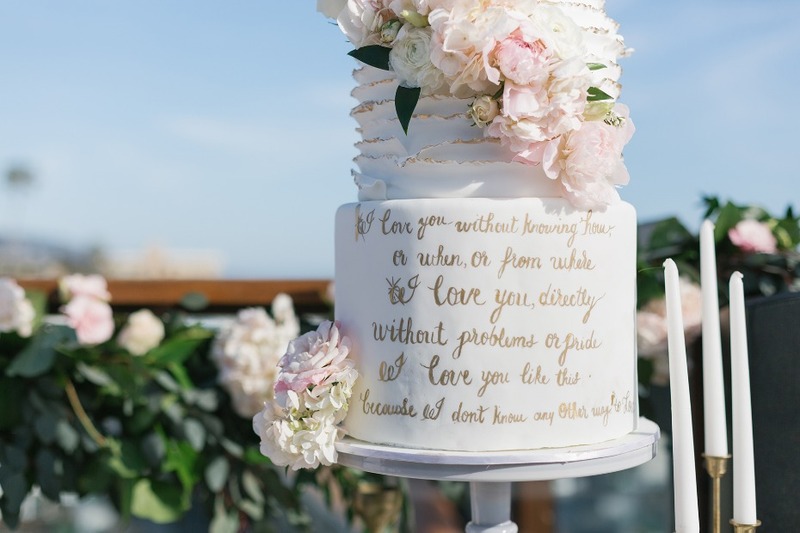 Learn more below, and be sure to check out the full gallery photographed by Rachel Stelter Photography for a closer look. 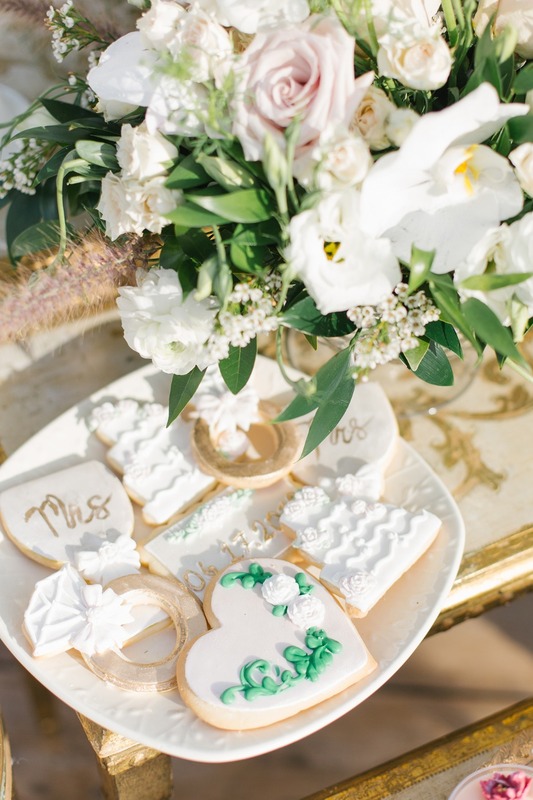 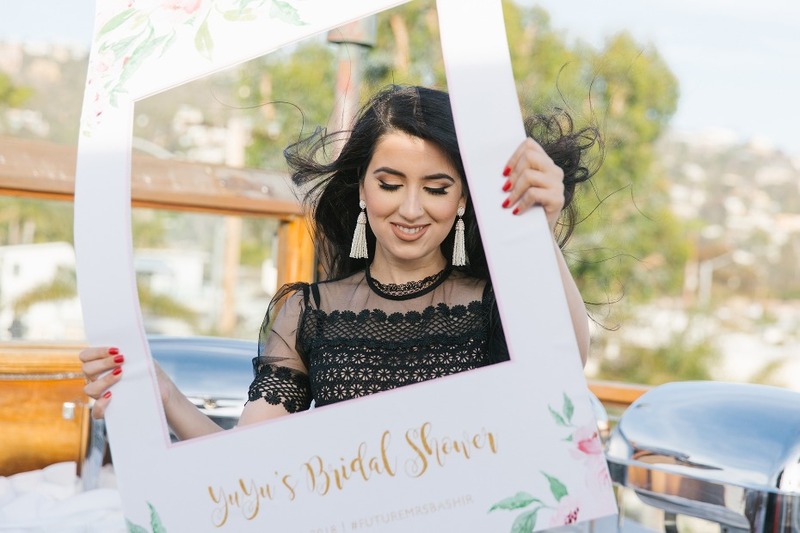 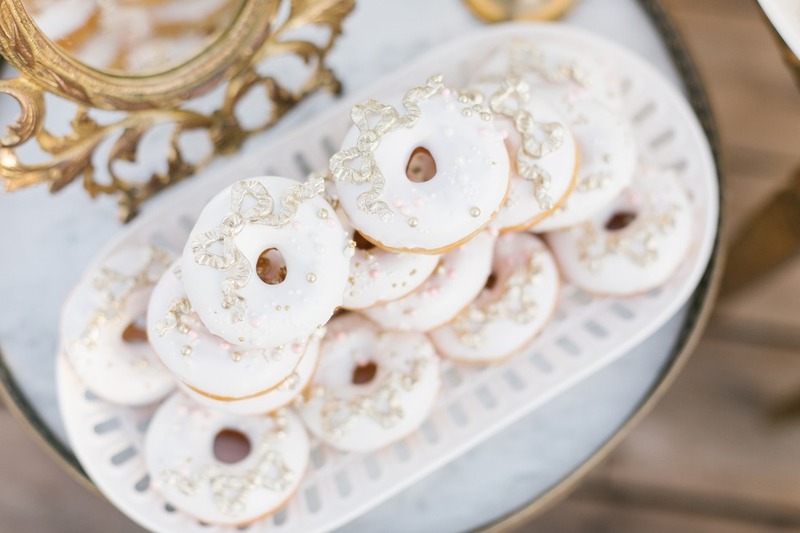 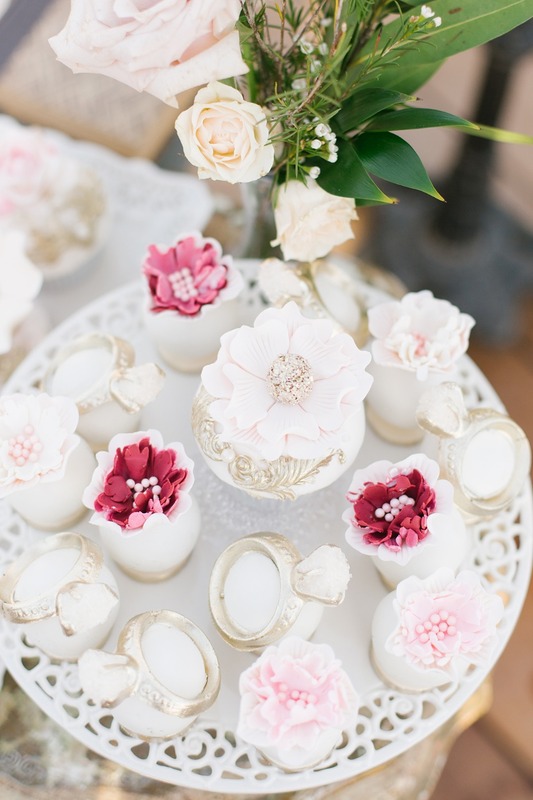 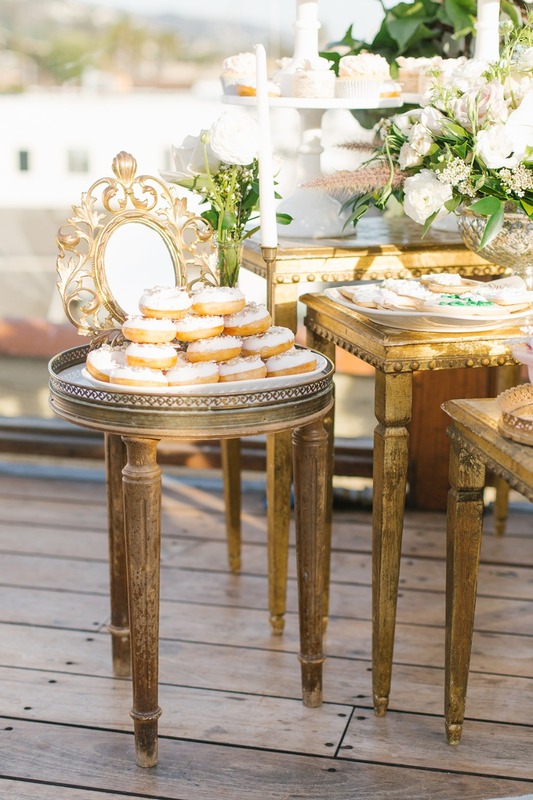 From Rachel Stelter Photography: With a little bit of Pinterest inspo and a whole lot of heart, Ayah planned her own, vintage-inspired bridal shower. 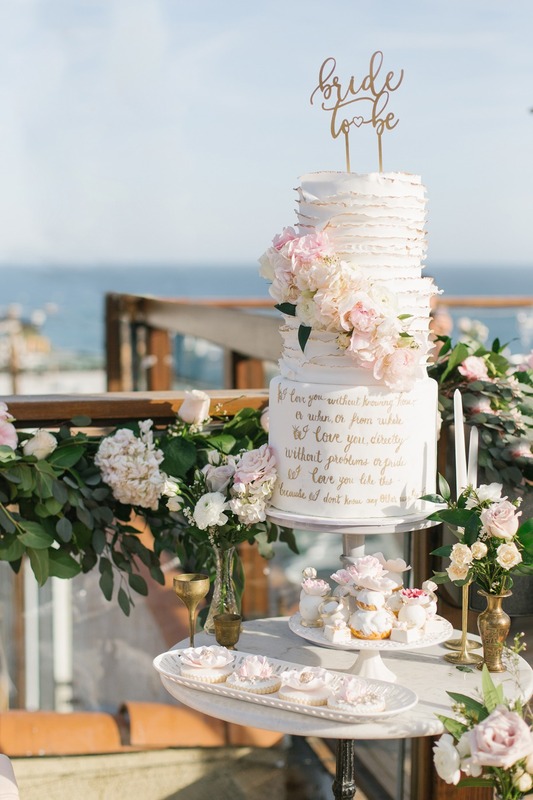 To say it was full of sweet touches is an understatement! 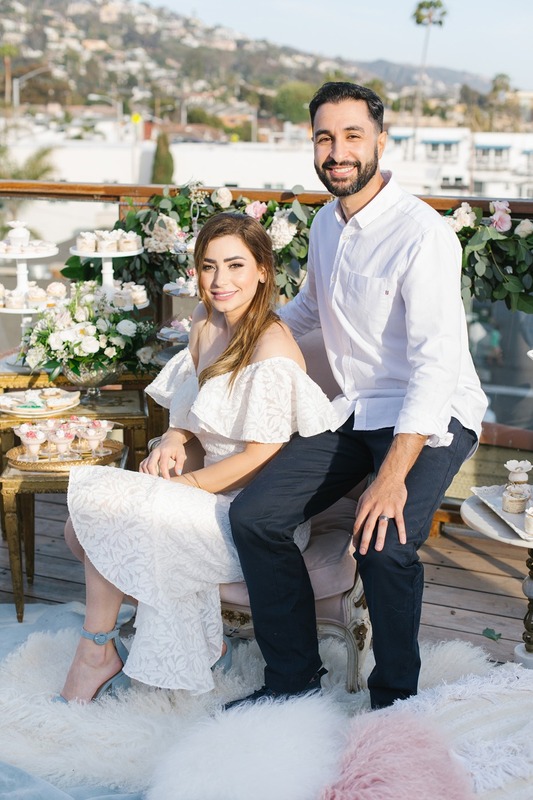 We began with a mini-romantic session of Ayah and her fiancé Feras at Laguna Beach ( which is just steps from the shower venue, La Casa del Camino Hotel). 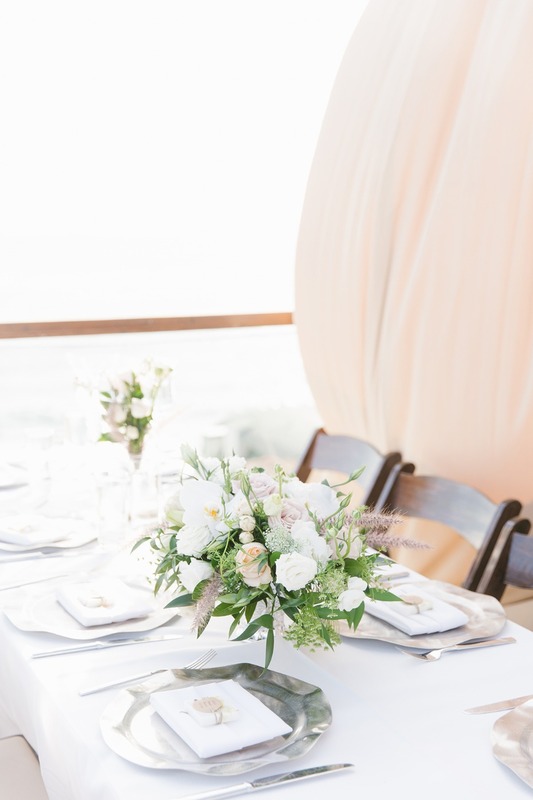 Textiles and pillows from Sweet Salvage Rentals made a perfect setting for taking a seat on some rocks and watching the waves crash ashore.